West Indies 6-205 (Kieran Powell 57, Dwayne Smith 55, Stuart Thompson 2-17) beat Ireland (Gary Wilson 62, Stuart Thompson 33, Jason Holder 3-34, Dwayne Bravo 3-36) by four wickets. West Indies outclassed Ireland who was unable to set a reasonable target while batting first and the hosts chased it at ease with plenty of overs to spare. The Visitors were bowled out for 202 runs with four balls remaining and the hosts smashed 205 for the loss of six wickets in 36.4 overs. 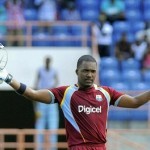 Dwayne Bravo, the skipper of West Indies was declared ‘Player of the match’ for his all round performance in the game. The only One Day International was played on Sunday, February 23, 2014, at Sabina Park, Kingston, Jamaica. Earlier, William Porterfield won the toss for Ireland and opted to bat but lost the first wicket at six. Ed Joyce along with Porterfield tried to stabilise the innings but the duo departed until the score reached 69. Gary Wilson stuck to the job as the fourth wicket was gone at 78 when Kevin O’Brien took guard in the center. They crept to 123 as the latter became the next victim for 22 and the incoming batsman surrendered for just 3. Stuart Thompson walked in next while Wilson reached his seventh ODI fifty and was finally dismissed for 62. Thompson scored 33 and the entire innings of the tourists was folded back for 202 after 49.2 overs. Jason Holder and Dwayne Bravo were the main wicket takers with three each, Nikita Miller held two whereas Miguel Cummins and Darren Sammy got one wicket each. Dywane Smith and Kieran Powell provided an excellent beginning for the home side by scoring 60 runs in 12 overs. 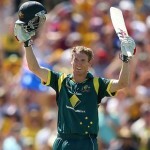 The first was the most attacking of the two and powered his sixth ODI half century with a grand six. The opening stand was discontinued at 100 in 16.5 overs when Smith went back to the pavilion for 55. The next two wickets fell cheaply as Dwayne Bravo got together with Powell who attained his seventh ODI fifty with a four. The association came to an end at 160 when the latter was stumped by Wilson off Stuart Thompson for 57. Bravo scored 35 and Marlon Samuels guided his side to victory by an unbeaten 26 as the Windies thrashed 6-205 with 15.2 overs still available. Thompson was the most successful bowler with two wickets whereas Max Sorensen, George Dockrell and Paul Stirling shared one wicket each. West Indies clinched the encounter with a good margin of four wickets.